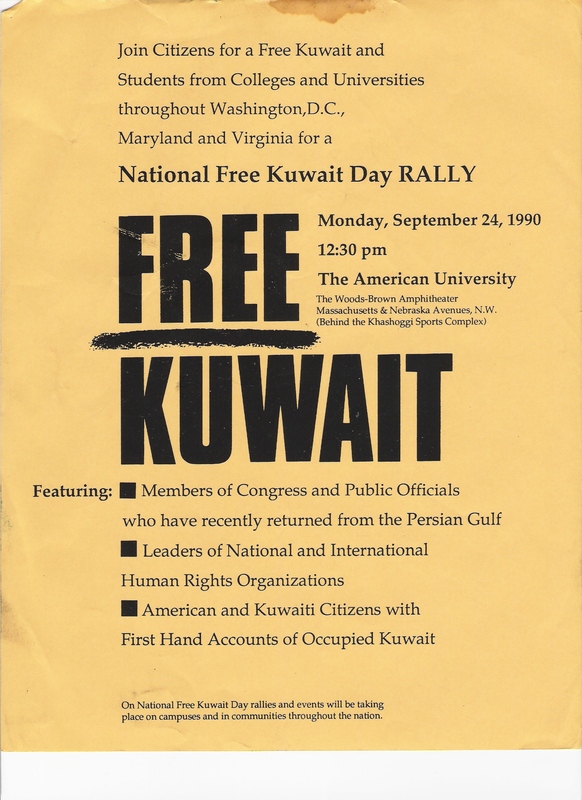 It’s hard to believe it been almost 17 years since the invasion (and harder to believe it’s been that long since I was at University) but I found the above poster today – we were DC-based students working with Citizens For A Free Kuwait at the time. We fought hard for the liberation, we went to war, we had high aspirations for rebuilding an even better Kuwait. We are still waiting. wish i’d been here before the invasion to see what life was like back then… i hear from everyone that it used to be so much better pre-invasion. Sad, that. Wow. Frame that poster with archival quality matting.